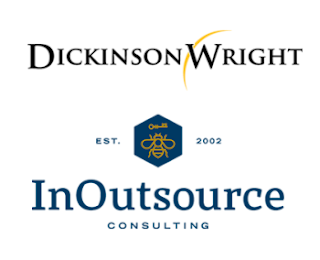 "InOutsource, an industry-leading global legal consulting firm, today announced Dickinson Wright PLLC has worked with the company to implement Intapp Open for both Intake and Conflicts. InOutsource enacted a comprehensive analysis, planning and implementation program for the Am Law 200 firm to reduce risk as well as automate and streamline its business intake and conflicts clearance processes." "'InOutsource was hands-down the first choice for an Intapp Open implementation partner. They acted as a guide for best practices and proved invaluable as we moved from an outdated system to a modern one that can address our firm’s requirements. InOutsource helped our firm standardize and automate the new business intake process and subsequently reduce the risk associated with it,' said Michael P. Kolb, chief information and security officer for Dickinson Wright. 'I recommend InOutsource over other consultants I’ve worked with, and I’ve been doing this for 20 years.'" "The Intapp Open implementation process began and concluded within a tight time frame – less than nine months for both Intake and Conflicts to launch – and finished under budget. InOutsource helped to refine business processes, identify and establish custom workflows, update the conflicts model, conduct a data integrity analysis and apply best practices and recommendations." "Dickinson Wright, which has grown to more than 450 lawyers in 17 offices, previously relied on shared knowledge of cases and a 12-year-old software solution that was challenging to support internally. Intapp Open, a web-based application, will streamline management of the new business acceptance life cycle with a solution that is easy for administrators to configure, simple for lawyers, professionals and staff to execute and effortless for risk and management stakeholders to track and oversee."